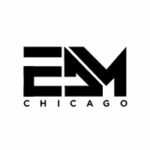 Unfortunately sad news was released this week about the iconic club in River North; Castle will be closing down January 3rd. Castle Chicago announced this news yesterday through their Facebook page. This Chicago landmark has been around for the last 25 years, being the longest standing nightclub of its size in the country. Castle encourages club-goers to be a part of killer events that will take place until the closing date. If you would like to be a part of these events you can find tickets here. The future of this location is unknown. Castle will always be remembered by those who visited, as it was known for its size, elaborate entertainment, and of course insane parties.